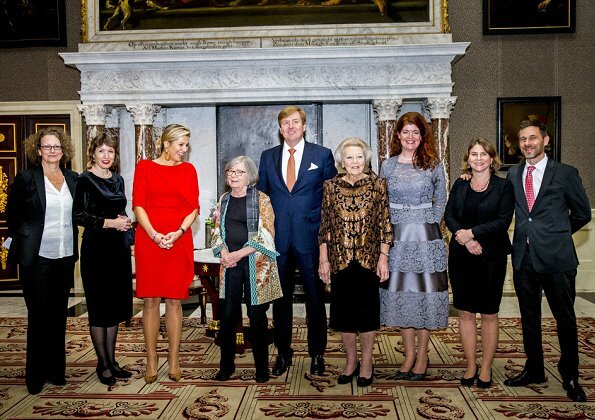 On November 27, 2018, Dutch King Willem-Alexander, Queen Máxima and Princess Beatrix attended 2018 Erasmus Prize ceremony of The Praemium Erasmianum Foundation, held at Amsterdam Royal Palace. 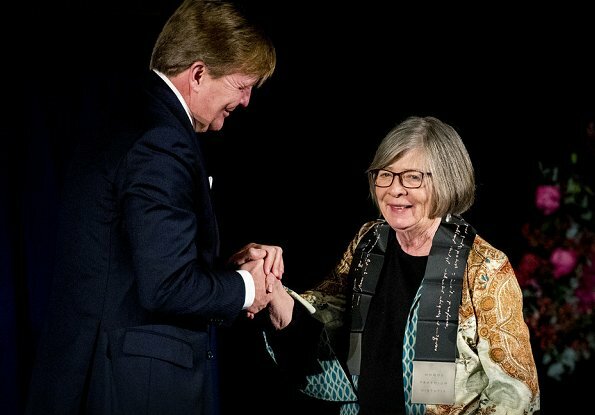 King Willem-Alexander presented Erasmus 2018 Prize (150.000 euro) to American journalist and writer Barbara Ehrenreich. 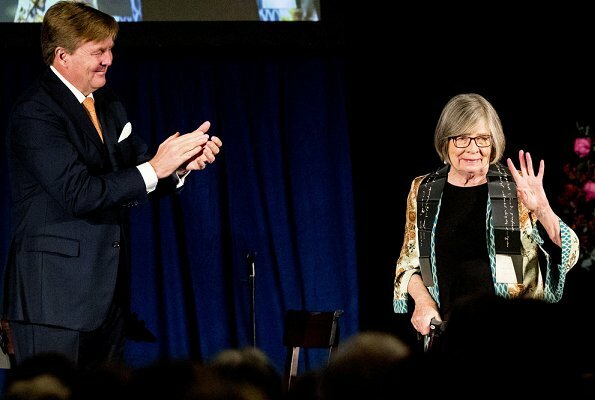 Barbara Ehrenreich is a pioneer in the genre of investigative journalism. 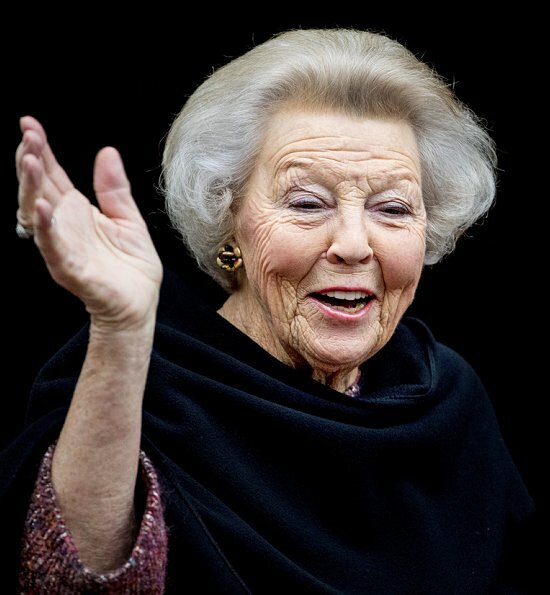 Recurring themes in her essays and books are: the labor market, healthcare, poverty, and the position of women. 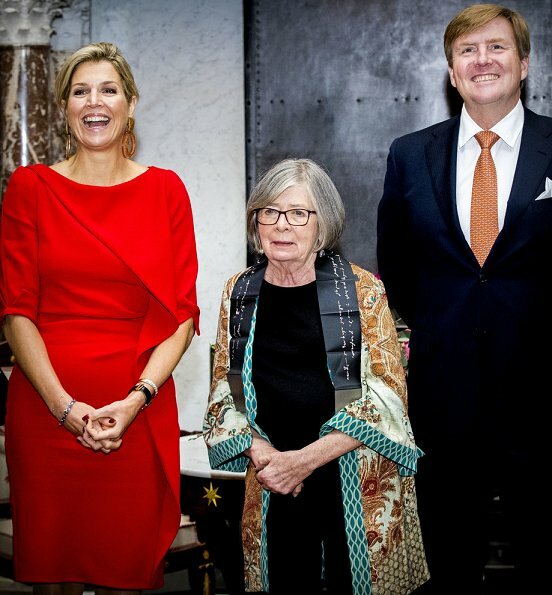 (Queen Maxima wore a dress by Natan). I cant quite work out the drapey bit but I quite like this look. Red looks good on her, hair and jewellery are nice. Miles better than the chocolate box wrapper she was wearing last time. Wow. 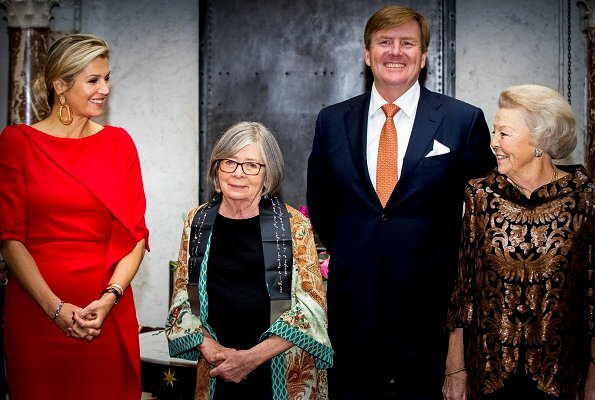 I firstly saw a red dress and after that those enormous earrings... Luckily they have a natural colour. Hair and makeup are fine, I think. This time her Natan dress seems to fit quite well. In my honest opinion, her Natan dresses/ tops/ skirts are often a bit too tight which is definitely not necessary because she has a beautiful figure! I widely agree with you, Rosalyn, except on the point that her figure has not changed over the recent last years; I think it has, maybe only slightly but still enough to make a difference on a tight dress. Probably not that easy for her designer/stylist to mention that to her... I think she must be aware of it. she looks really good in red, wish I could wear that color as nicely. Maxima,is the winner here. She looks great in red.Pss Beatix looks lovely too. I guess my comments are not positive to be published, and all I said was, Princess Beatrice looks lovely in her outfit. She looks lovely. The dress fits well. But the earrings..... no. I like the ruffles, they give an otherwise simple dress some movement. I also like the matching pashmina, better then a coat imo. 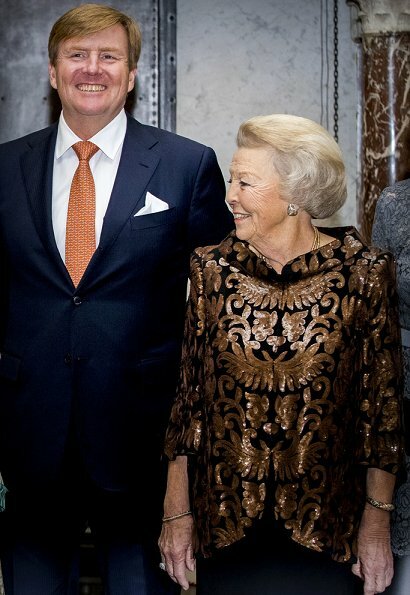 Lovely outfits for both Maxima and Princess Beatrix. What a relief to see Maxima looking this good after yesterday's frightener! Red really suits her and her hair is great. Don't like the earrings but they are neutral so blend in.